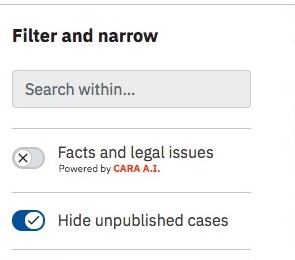 Yes, you can use Casetext's "Hide unpublished cases" filter to remove cases from your search results that were not intended for publication. What Does The Filter Cover? 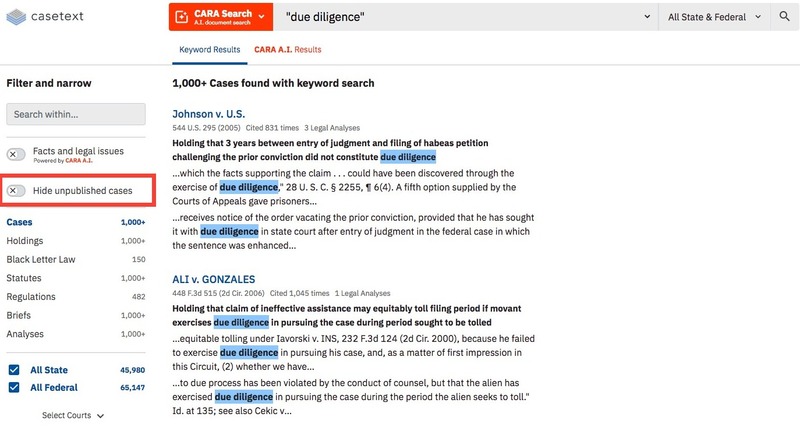 Casetext’s “Hide unpublished” filter removes opinions that the court has explicitly designated as not intended for publication. States vary on if and how unpublished opinions can be relied upon and the “Hide unpublished” filter is not applicable to all jurisdictions. Note that where a dissent opinion was published in an official reporter, the decision is considered “published” even if the majority opinion was designated not for publication.